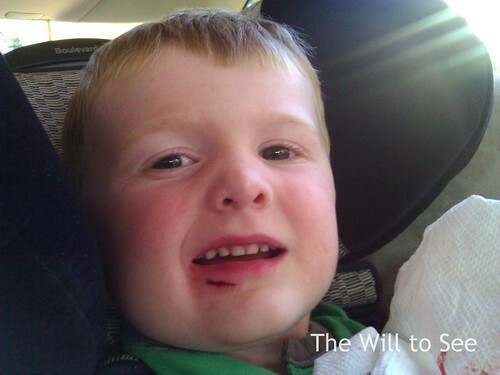 Yesterday Will fell on the edge of a coffee table and put a 3/4″ laceration below his lip. 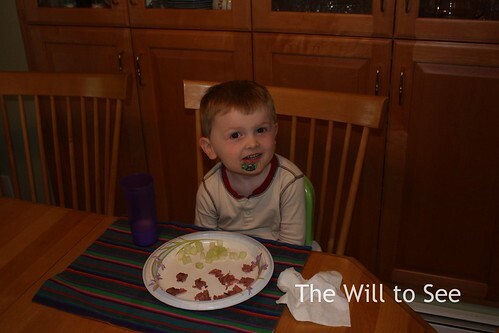 Initially we thought his teeth had gone through his lip, but they hadn’t. 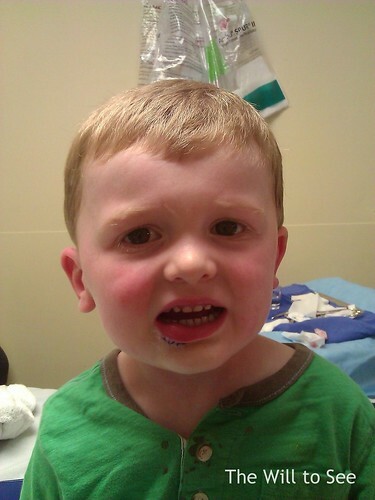 The boys and I were staying with Jim’s sister and family, so she took Will and I to the Emergency Room (my first time). 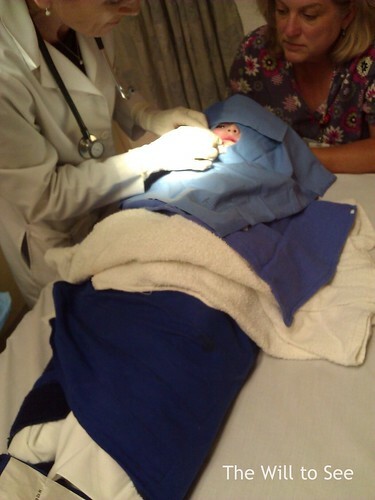 Will was a trooper; he only cried twice and that was due to the lidocane for the stitches. 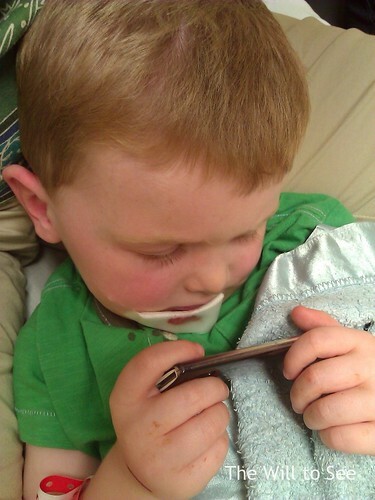 He ended up with 1 internal stitch and 5 external stitches. Since Jim wasn’t there he requested photos, so here is a series of our couple of hours in the ER.